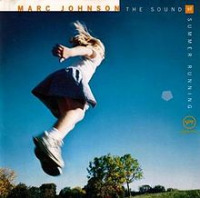 It's a relatively rare occasion when Marc Johnson releases an album under his own name, but based on the bassist's track recordfrom Bass Desires (ECM, 1985) through to Shades of Jade (ECM, 2005)it's always one to celebrate. 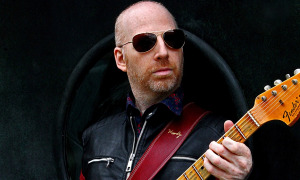 As Johnson fast approaches 60, it seems like only yesterday that he emerged as the bassist in Bill Evans' final trio in the late 1970s, before the piano legend's passing in 1980. But if time has passed, one thing that has remained constant is Johnson's ability (not unlike Evans) to balance power and elegance, yin and yang. Shades of Jade was, for some, the sleeper hit of 2005 and so it's great to find Johnson bringing back the core trio and saxophonist Joe Lovano (who also appeared on select tracks), though this time around he acknowledges the greater significance of pianist (and wife) Eliane Elias by putting her name up on the marquee, beside his own. Johnson's first composition of the date, the indigo-tinged "When the Sun Comes Up," brings Lovano back, mirroring its title as the bassist slowly moves from dark-hued whole tones to more fervent swing with a stronger, quarter-note pulse. As the quartet picks up steam, Baron manages to combine responsive foilfirst to Lovano and then to Eliaswith a magical ability to suggest rather than actually play time, aligning with the more anchor-like Johnson. Track Listing: Swept Away; It's Time; One Thousand and One Nights; When the Sun Comes Up; B is for Butterfly; Midnight Blue; Moments; Sirens of Titan; Foujita; Inside Her Old Music Box; Shenandoah. 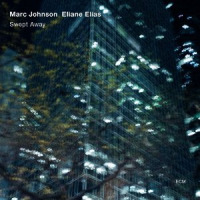 Personnel: Eliane Elias: piano; Marc Johnson: double bass; Joey Baron: drum; Joe Lovano: tenor saxophone.